"The installation is very good and excellent end product. " The property market in London is a tough place. Every year demand continues to outstrip supply. One solution that is gaining popularity is to think micro. 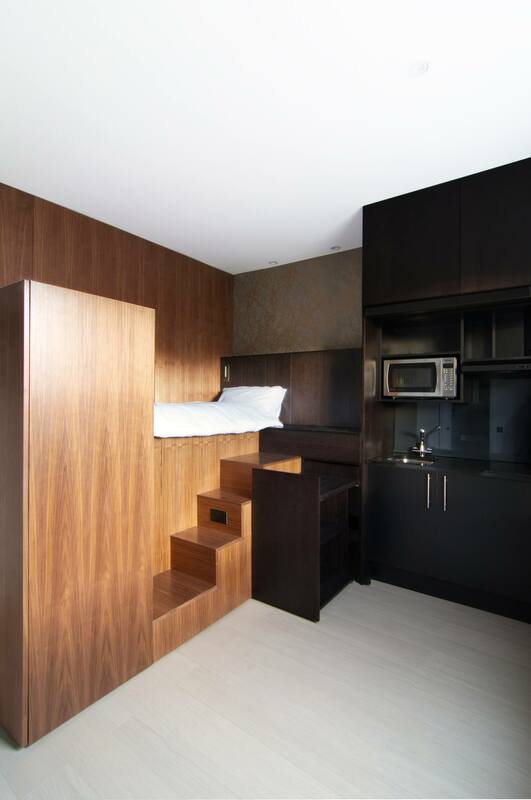 Different to the average studio apartment, the micro flat does not scrimp on style, storage or design but harnesses the best of architecture and creativity to create spaces that are Alice-in-wonderland-esque. 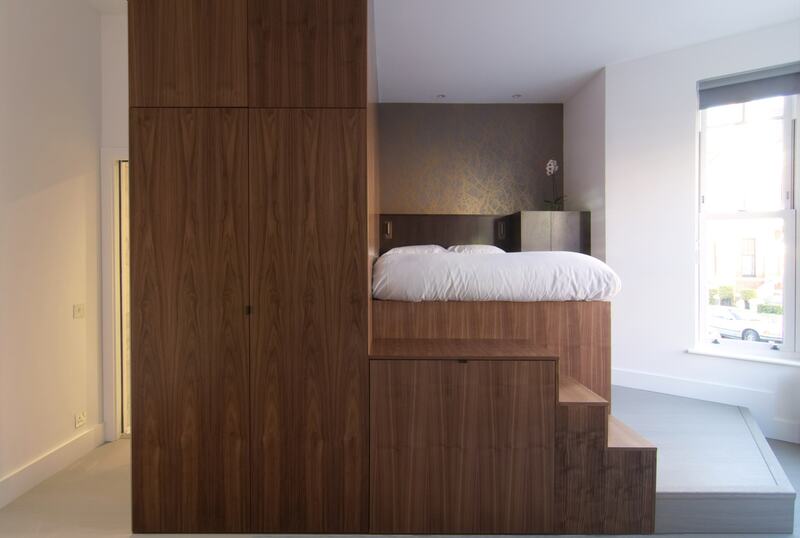 John Strand supplied made-to-measure kitchens on just such a development of micro-flats working with Studio Find, an architectural and design studio founded in 2016 by Laura Encinas. The property consists of a four-storey terraced house with back garden. The house has eleven rooms that were offered as studios before the client acquired the property. 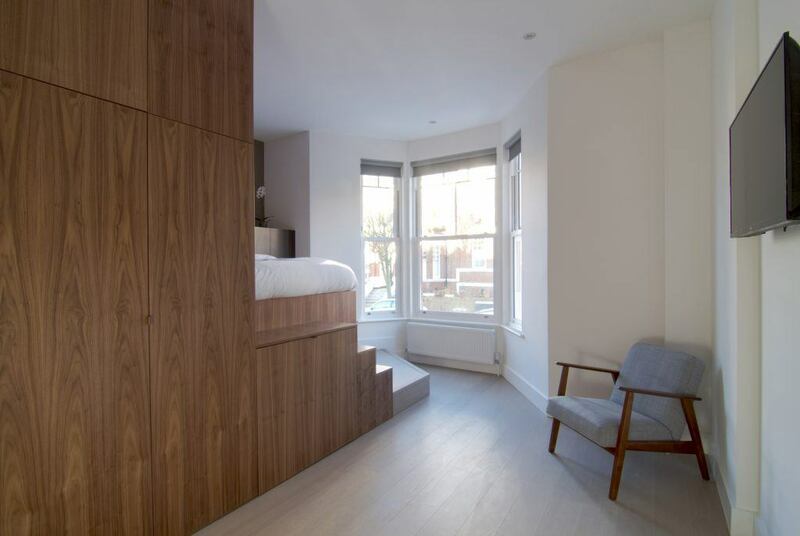 Seed Property Consultants Ltd wished to convert the property in a new living concept according to the current strong rental demand in London and the changing market conditions. 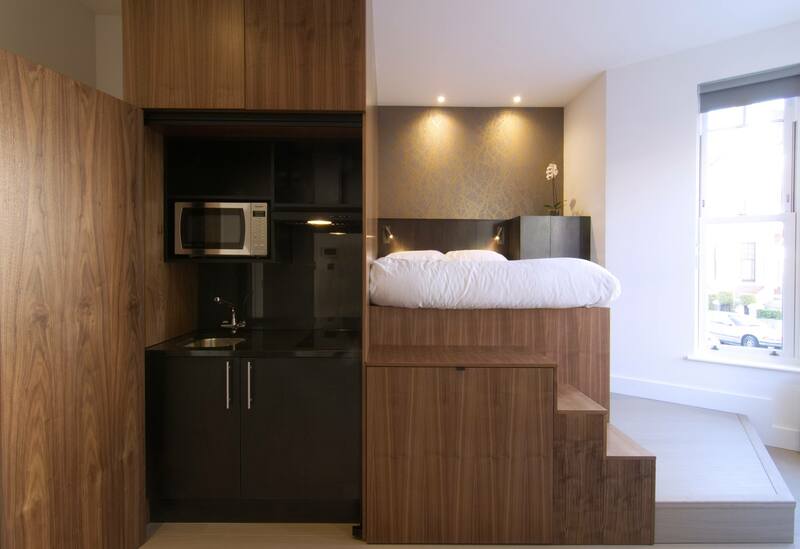 Monitoring a new trend in recent years of the rise in rents in London, housing crisis and changes in the way people lives in big cities, micro flats seem to become the solution to address these needs. 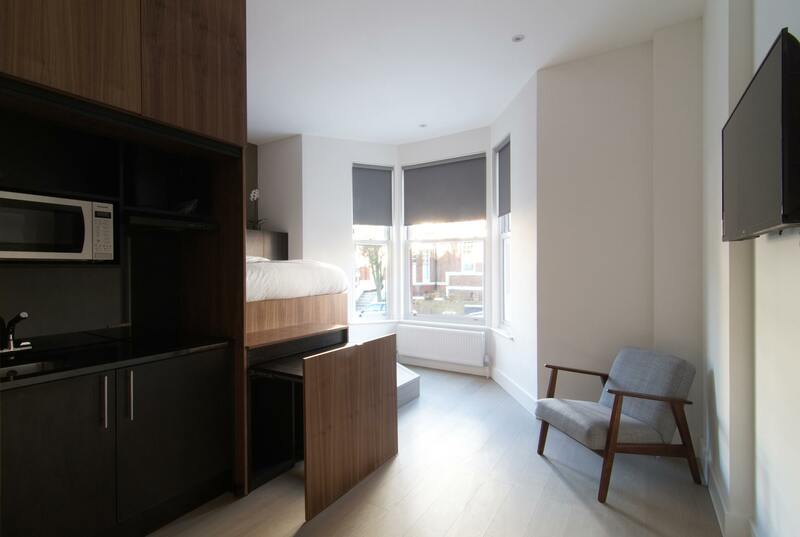 The brief established a design that would offer serviced accommodation of high quality standards with a ‘homey’ atmosphere, maximising the space of each room and integrating smart technologies within the design. The new serviced apartments include shower room and kitchenette facilities but the property also offer shared communal spaces. We spoke with principal architect Laura Encinas about the project and her experience working with John Strand. How efficient do you feel the design and selection process was? Excellent! Once we decided to go with John-strand for the kitchenettes supply, the process was very straight forward. Calvin showed the available product range and how this could be easily adapted to the design. The interior proposal of each apartment follows a very compact solution, so it was very important that the kitchenettes would perform accordingly. We were after good quality but affordable, so John-strand kitchenettes fitted well with these requirements and budget. How did you find the delivery procedure and ease of installation of the kitchens? The delivery was very straight forward. The team issued final design drawings and specifications very quickly, therefore helped in the purchasing process. The installation is very good and excellent end product. What did you think of our kitchens overall? John-strand offers a good range of products and accessories. This helps to finds the best solution to fit within the budget. The product is very good and John-strand team offered an excellent customer service. Would you recommend John Strand MK? Yes. Very good quality, many options and bespoke solutions and excellent customer service.